A telegram from Col. E.B. Alexander in St. Louis, MO to Capt. 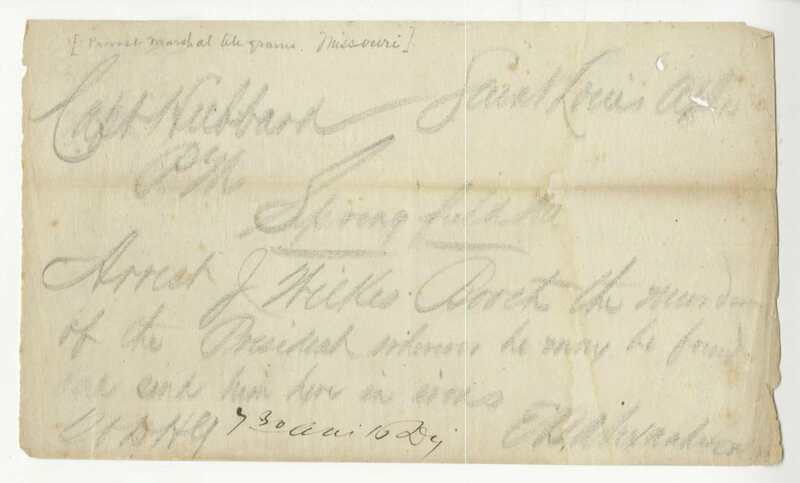 Hubbard in Springfield IL calling for the arrest of John Wilkes Booth.